Recording the likes of Ethel Waters, James P. Johnson, as well as Gus and Bud Aikens. Published the first African-American illustrated journal, The Moon Illustrated Weekly. Established the first African-American owned record company, Pace Phonograph Corporation and sold recordings as Black Swan Records. 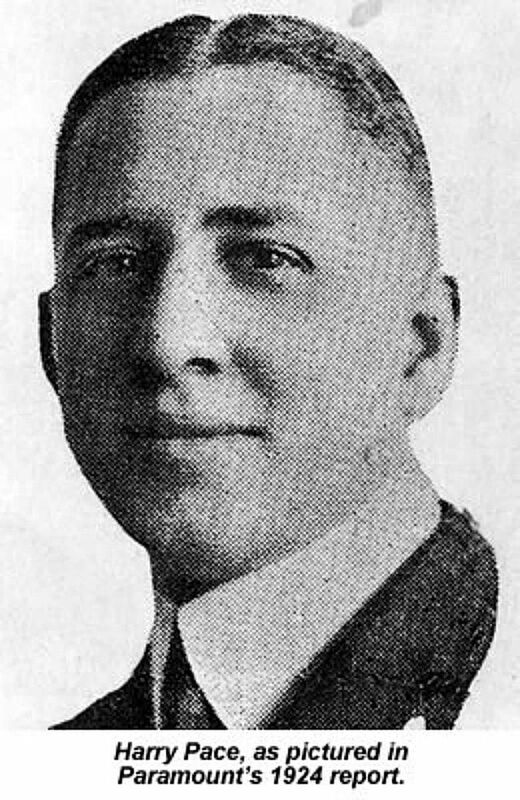 Born: January 6, 1884 in Covington, Ga.
After graduating from Atlanta University, Pace moved to Memphis where he worked a variety of jobs in banking and insurance. By 1903, Pace launched a printing business with his mentor, W.E.B. Du Bois. Within two years, the duo collaborated to publish the magazine The Moon Illustrated Weekly. Although the publication was short-lived, it allowed Pace a taste of entrepreneurship. In 1912, Pace met musician W.C. Handy. The pair began writing songs together, relocated to New York City, and established the Pace and Handy Music Company. Pace and Handy published sheet music that was sold to white-owned record companies. Famed composer William Grant Still was hired as the company’s musical director. Fletcher Henderson became Pace Phonograph’s bandleader and recording manager. Working out of the basement of Pace’s home, Black Swan Records played an important role making jazz and blues mainstream musical genres. Recording and marketing music specifically to African-American consumers, Black Swan recorded the likes of Mamie Smith, Ethel Waters and many others. In its first year of business, the company made an estimated $100,000. The following year, Pace purchased a building to house the business, hired regional district managers in cities throughout the United States and an estimated 1,000 salespeople. Soon after, Pace joined forces with white business owner John Fletcher to buy a pressing plant and recording studio. Yet Pace’s expansion was also the beginning of his downfall. As other record companies realized that African-American consumerism was powerful, they also began hiring African-American musicians. By 1923, Pace had to close the doors of Black Swan. After losing to major recording companies that could record for lower prices and the arrival of radio broadcasting, Black Swan went from selling 7000 records to 3000 daily. Pace filed for bankruptcy, sold his pressing plant in Chicago and finally, he sold Black Swan to Paramount Records. Although Pace was disappointed by the quick rise and fall of Black Swan Records, he was not deterred from being a businessman. Pace opened the Northeastern Life Insurance Company. Pace’s company went on to become one of the most prominent African-American owned businesses in the northern United States. Before his death in 1943, Pace graduated from law school and practiced as an attorney for several years. How did Elizabeth overcome racism and perform at Buckingham Palace in 1854? How Did Black History Month begin? What Is a "Black Comedy" Movie?